At Spyderco we design and manufacture knives to be functional, elemental cutting tools you will use and can rely on for years to come. Function and cutting performance are our primary focus but we do on occasion create something equally beautiful with artistic value. We’re glad to introduce you to our C28PT DragonFly Tattoo folder with multi-color dragonfly etching. We believe it offers the best of both worlds. It starts with a functional VG-10 blade and an all stainless steel handle. Then it’s beautified with bright poly-chromatic dragonfly art etched into the handle. 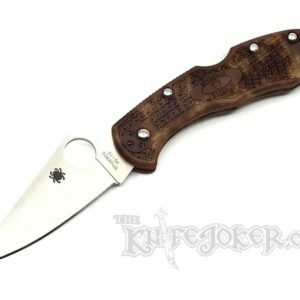 The VG-10 full flat-ground blade is 2-1/4″ inches of cutting aptitude with a cusp on the blade’s spine to naturally position the thumb in control over the sharp edge. 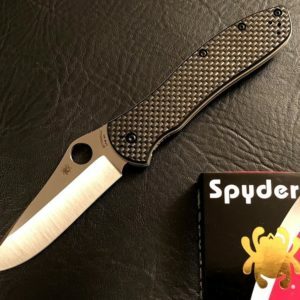 Blade and handle geometry create a variety of grip angles and leveraging points so when held and used the knife feels and reacts like a larger tool in the hand. 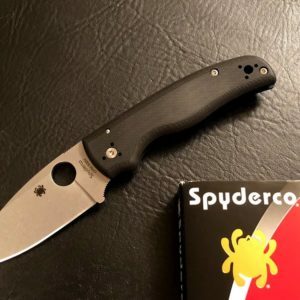 Even the position of the Spyderco Round Hole, relative to the pivot, is precise for smooth opening, hitting all the correct pressure points in the hand ergonomically. 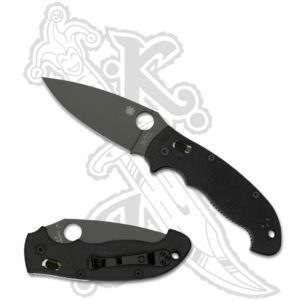 It carries right-hand tip-up with a steel pocket clip that can also be used as a money clip.